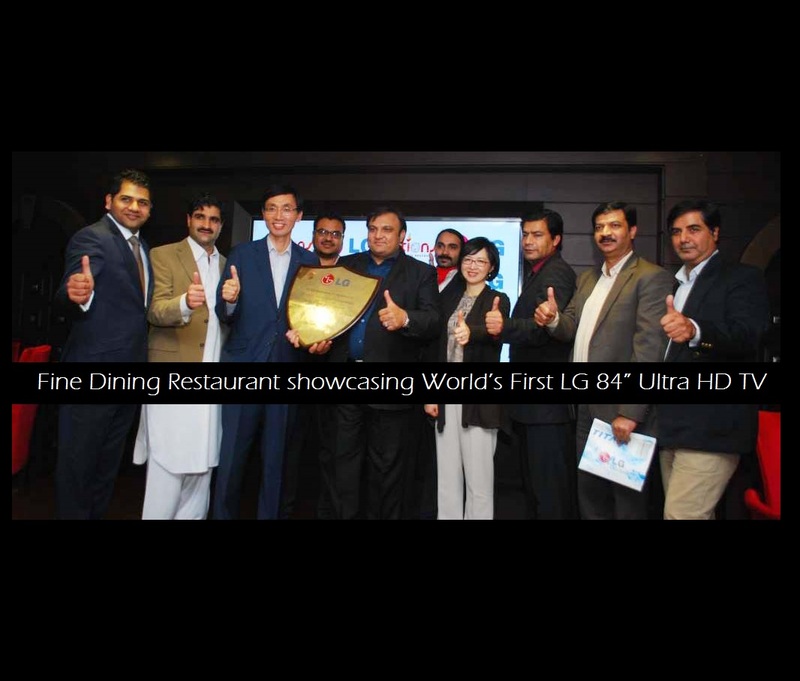 In an initiative by LG Electronics Gulf FZE (Pakistan Office), Options restaurant has been installed with the LG 84” Ultra HD TV screen. In Pakistan, this is the first time this screen has been installed at a restaurant to provide customers with the unique experience of watching television on the world’s largest HDTV screen while enjoying their food and games. LG Electronics, a global leader in technology and consumer electronics, introduced this screen last year and is known for its quality and viewing experience. 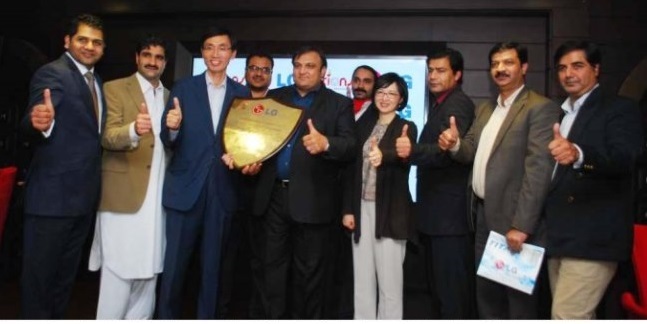 At the inauguration of Options, which is a fine dining restaurant, along with a cafe, and which also consists of a 3D gaming zone, Mr. Michael Ha, Director, LG Electronics Pakistan personally met the customers and shared his comments. [blockquote cite=”Mr. Michael Ha”] We are thrilled by the response we have received by the customers who have shown a lot of enthusiasm for the 84” Ultra HD TV screening. As always here at LG, the customers are our main concern and we hope that through this initiative we are able to reach out to them. As the FIFA World Cup 2014 grows closer, customers are more than excited by this development. They have now found a place to come and watch the games together with their family and friends. The LG Ultra HD TV 84” screen also boasts astonishing picture quality, cinema 3D technology, a 2.2 speaker system, and four times the resolution (3840×2160) of existing HDTV screens. [blockquote cite=”Dr. Kaisar Rafiq, Owner Options Restaurant”] The citizens of Lahore are showing great excitement towards this venture, and we are happy to provide them with this experience.